MCC and the Government of Liberia signed a $15 million threshold program grant agreement on July 6, 2010, that focused on improving land rights and access, increasing girls’ primary education enrollment and retention, and improving Liberia’s trade policy and practices. The United States Agency for International Development (USAID) oversees implementation of the program on behalf of MCC. Liberia faced several constraints to improving its primary education system. Although primary education attendance is mandatory and entrance is free, the cost of materials and uniforms made schooling unaffordable for many parents. The second project of the Liberia Threshold Program helped increase girls’ primary education enrollment and retention in the three communities with the largest number of out-of-school girls. The program provided more than 7,000 scholarships to girls to cover the additional costs of primary school attendance. In addition to the scholarships, mentoring and counseling programs the project provided free or inexpensive medical treatment and promoted awareness of health issues, including malaria, HIV/AIDS, nutrition, and sanitation. Several target communities also received performance-based grants to improve the school environment. Specific activities to be financed through these grants were based upon a needs assessment and community consultations undertaken by the United States Agency for International Development. Finally, the program supported a sensitization campaign to educate parents and communities on the benefits of sending girls to school and to reduce resistance to girls’ schooling. Provide scholarships to 2,350 girls each year in three counties – Bong, Grand Bassa, and Lofa. Each scholarship will cover the basic costs of uniforms, books, cost of transportation, and other similar items that make it possible for students to attend school. Provide social interventions such as counseling and mentoring programs and launch sensitization campaigns targeted at teachers, school administrators, parents, and the community to help create an environment supportive of girls’ education in order to improve retention. Provide performance-based grants to 30 targeted schools over three years to improve the school environment, including renovations of roofs/classrooms, construction of latrines, water pumps, provision of classroom furnishings, and other items identified through a needs assessment and community consultations. Liberia had significant barriers to trade, including import tariffs that were among the highest in West Africa and the world. Import bans and restrictions, inadequate trade capacity, minimal intellectual property right enforcement, poor infrastructure and licensing, and corruption added to the cost of trade. The third project of the Liberian Threshold Program supported efforts to improve trade policy and practices, and complemented other donor efforts in this area. The program supported harmonizing tariffs to international standards by training Liberian officials and launching a multimedia reform awareness campaign. The program supported efforts to reduce non-tariff trade barriers through by increasing engagement with regional and global organizations and by improving the regulatory environment. The program also supported the passage of a new customs code, updated regulations, a public information campaign, and training for relevant stakeholders. Finally, the program supported protection of intellectual property rights, including legislation amendments and trainings. Raise awareness and support implementation of tariff harmonization. 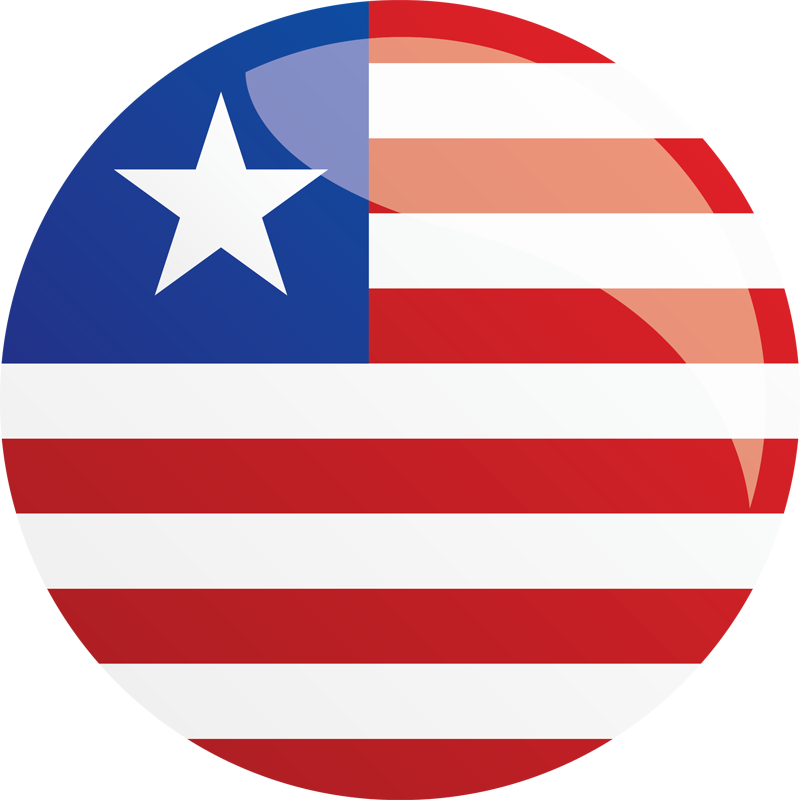 Strengthen Liberia’s trade policy by increasing conformity with international standards. Modernize Liberia’s customs practices to increase transparency and quality and improve compliance with existing legislation. Strengthen efforts to protect intellectual property rights. Liberia has a dual system of formal and customary land tenure, or ownership. Urban areas of the country use a Western-style individual land ownership system. Rural areas employ customary land ownership practices based on community or collective ownership. The two separate land tenure systems, poor records management, and a lack of reliable land information systems contribute to legal disputes, social conflicts, unequal land access, and difficulty in registering property. This hinders domestic and international investment in Liberia. The first project of Liberia’s threshold program was designed to assist in policy and legislative reform to promote equal land access and increased land security. It supported studies of Liberia’s customary land tenure to better understand existing rules and institutions, including women’s land access. The formal legal framework was also studied to enable legislative reform of the property rights system. Support was provided to rebuild Liberia’s technical capacity in land administration and surveying. The program rebuilt the deed registry system and improved its capacity and procedures, including the management and storage of land records, to increase the efficiency of land administration and land transfers. Increase clarity and public understanding of property rights issues to help the National Land Commission develop a comprehensive reform strategy for land policy and law. Rebuild and restore public confidence in the system of land administration through reforms of management, improved procedures, and rebuilding of public and private surveying capacity. Improve management of land records and increase efficiency in registration of land transfers and land market operations by the National Center for Documentation and Records/Archives.